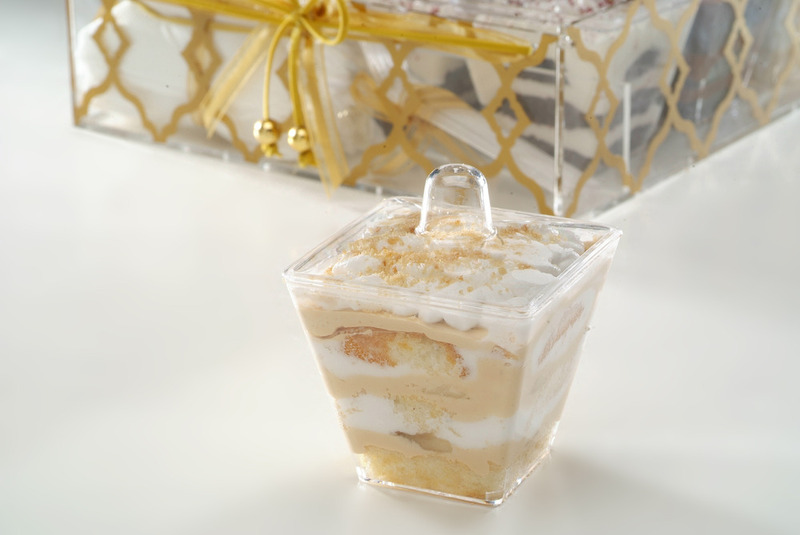 Celebrate Ramadan Gatherings with J’s Bakery Trio Trifle Box. 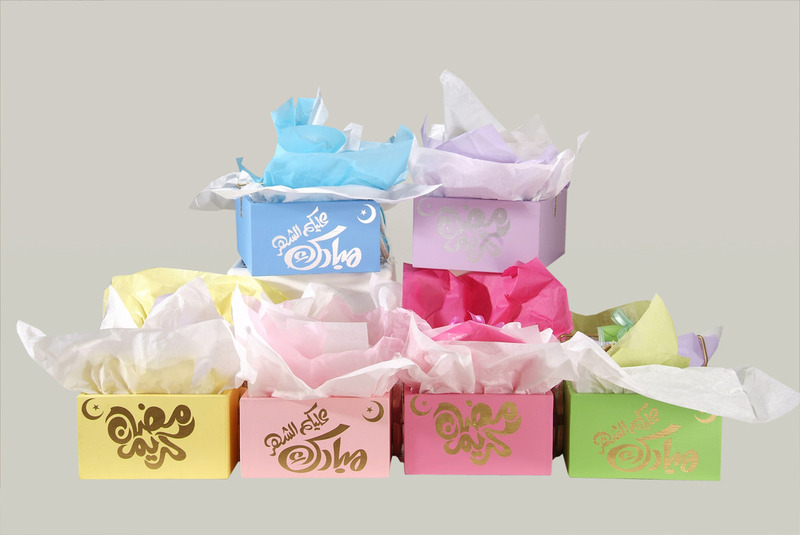 Plexigift box with Ramadan motif features 9 mini cups with different cake trifles. 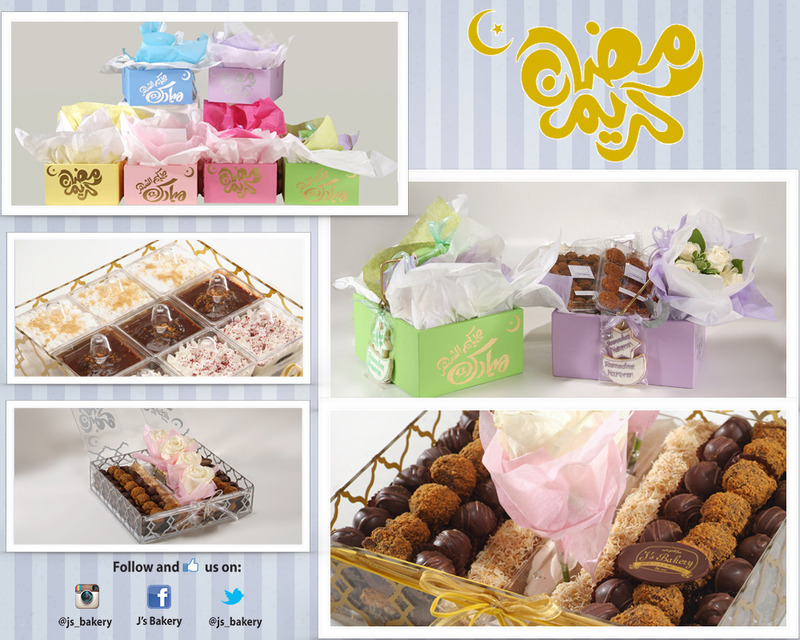 Packages with spoons and napkins.. the perfect on the go dessert for futoor or suhoor gatherings. 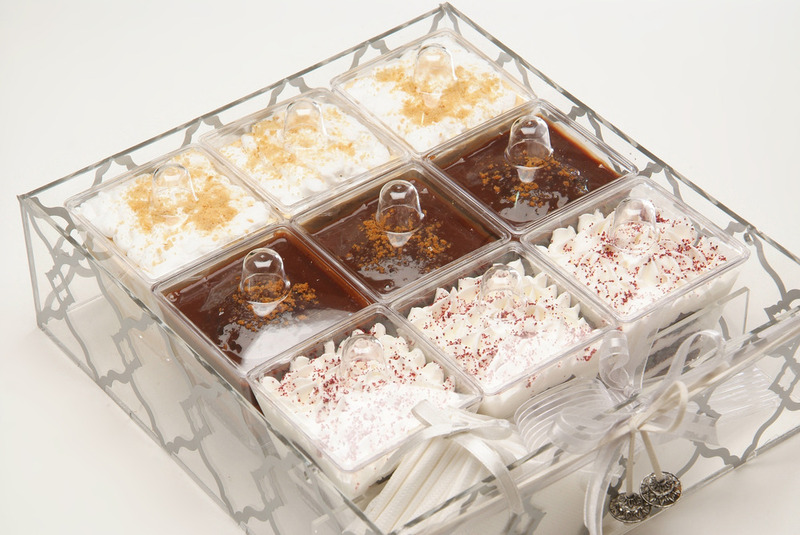 Trio Trifle box available in gold and silver. 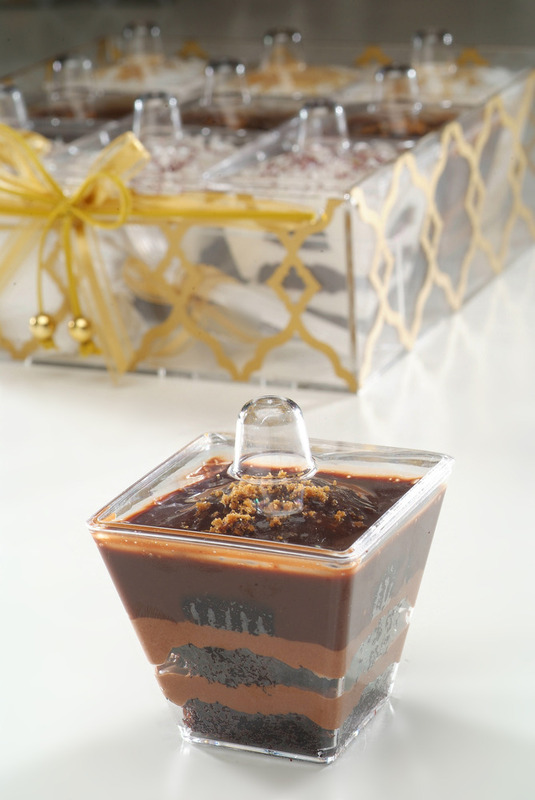 Nutella Trifle: Mini cups filled with layers of Chocolate cake and Nutella ganache and cream. 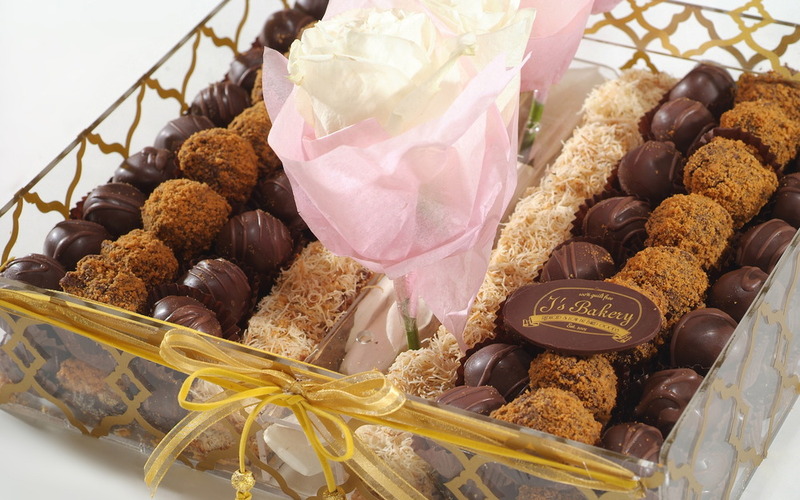 Part of Trifle Trio Plexi Box, decorated with silk and leather ribbons and beads. 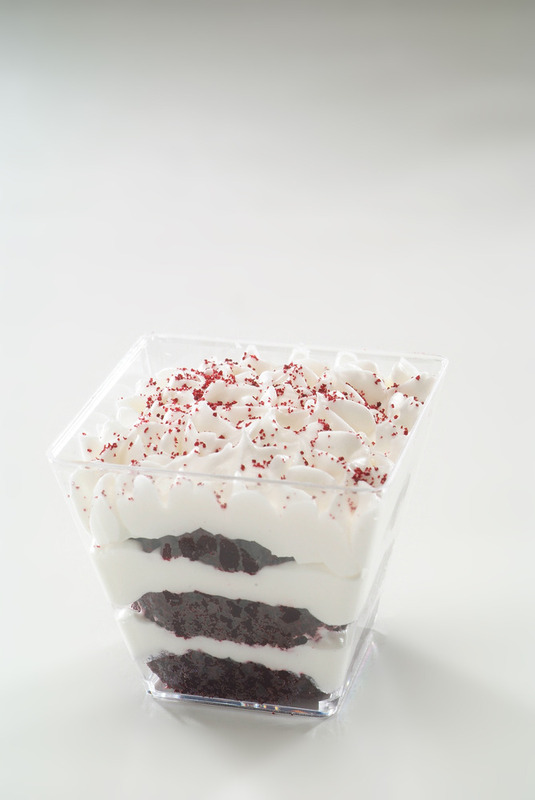 Mini cups filled with layers of Red Velvet cake and light cream cheese icing and cream.